Heat the tock to simmering point. Meanwhile, heat the oil in a large saucepan and gently fry the butternut squash for about 15-20 minutes, then add the onions and garlic for a further 5 minutes and cook until the onion is soft. Add the rice and stir well to coat the grains of rice with oil. Using a ladle, slowly add the stock to the pan, stirring all the time and keeping the mixture simmering. Allow the stock to be absorbed by the rice each time before adding more. Once all the stock has been added and absorbed, stir in most of the Parmesan cheese and the parsley, reserving some to sprinkle over the top before serving. Butternut squash provides plenty of starchy carbohydrate and fibre and is an excellent source of vitamin A needed for healthy growth. Heat the oil in a large frying pan and sauté the onion and green pepper over a medium heat until soft, about 10 minutes. Add the kidney beans and stir fry for a few minutes. Remove from the heat and allow to cool in a bowl. Drain the sweetcorn and add to the bowl. Next add all the grated cheese and stir thoroughly. Fill the wraps with the mixture and serve. 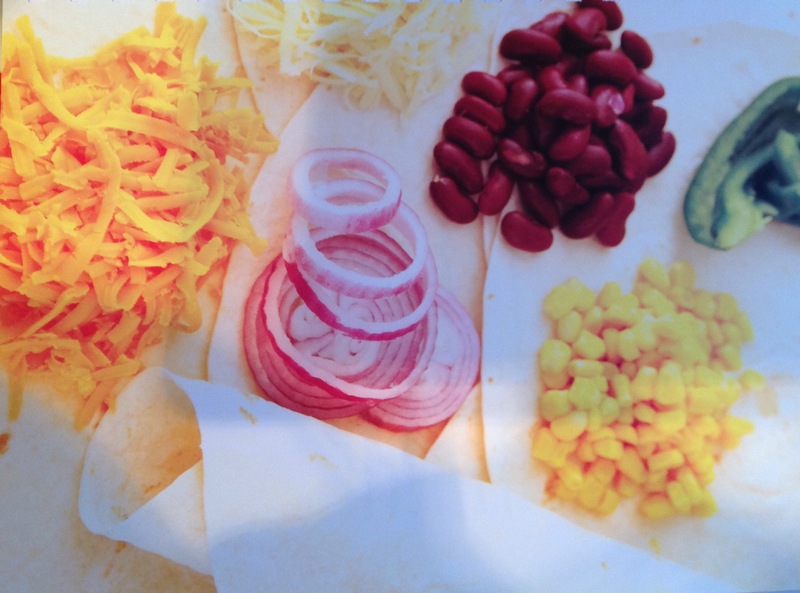 These wraps are a tasty way for children to enjoy nutritious kidney beans. Heat the oil in a large frying pan or wok. Stir fry the chicken strips on a high heat until cooked through, about 10 minutes. Remove to a warmed plate. Stir in all the rest of the vegetables and cook until just soft. Add the garlic and ginger and cook for a further few minutesm then stir in the Thai fish sauce. Meanwhile place the noodles in a large saucepan of boiling water for the required time. Stir fries are a great way to encourage children to enjoy vegetables. The chicken provides protein and the noodles provide starchy carbohydrate and fibre. 1 Heat the oil in a large pan and fry the onion and mice together until the meat has browned and the onion is softened. Stir in the mushrooms, chilli powder and oregano and cook for 1-2 minutes. Add the tomatoes and tomato puree, bring to the boil, then turn down the heat and cook gently for about 25 minutes. 2 Drain the kidney beans and stir in, adding water if necessary. If using baked beans, stir in the entire can. Cook for another 25-30minutes. 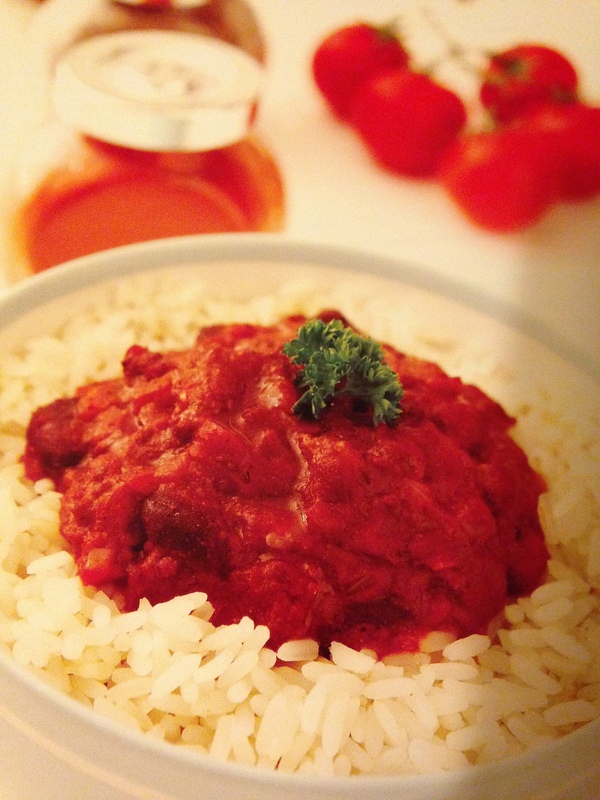 The minced beef is a rich source of iron needed for healthy blood. Those on a tight budget can use less beef and extra kidney beans which are a good source of fibre as well as protein. 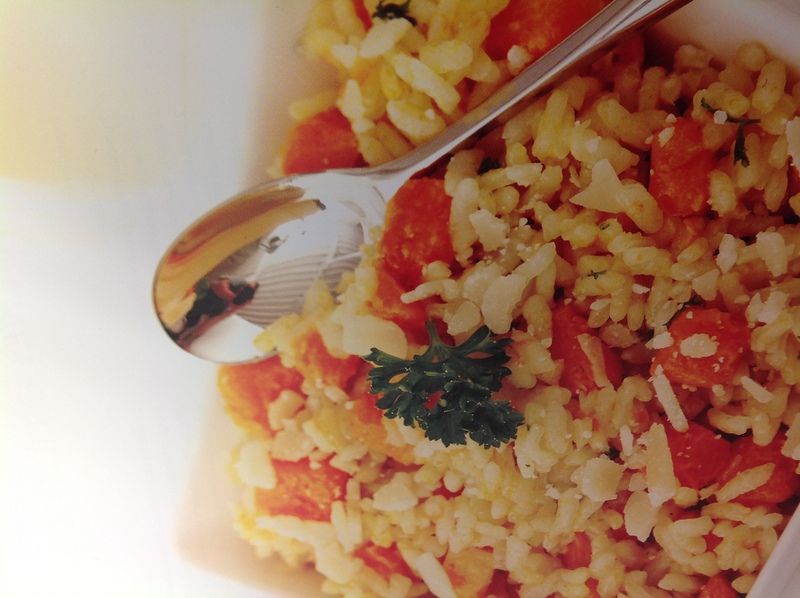 You can adjust the spiciness of the dish to suit the tastes of the children. Adult and Child: Remove the ends from the strawberries and slice in half. Peel the kiwi fruit and chop into cubes. 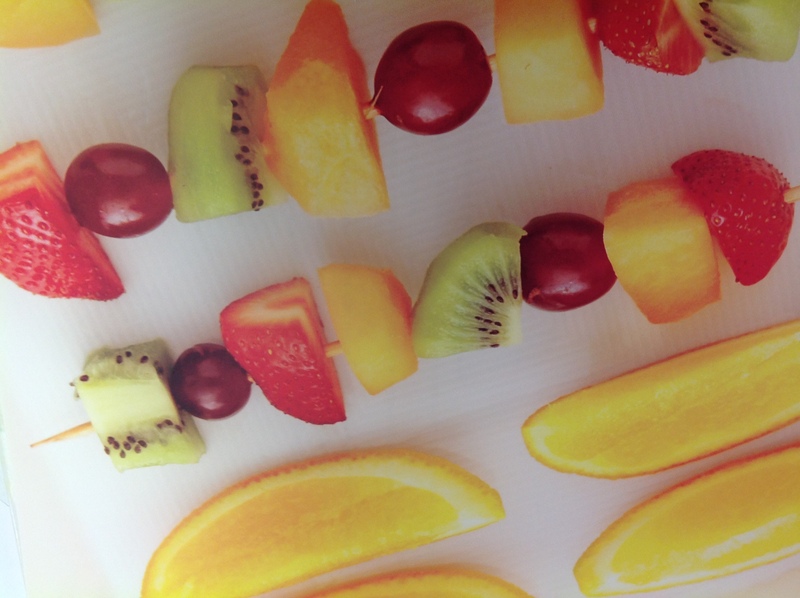 Child: Thread the fruit onto the kebab sticks. Always wash your hands well before preparing the baby’s food. Check that baby’s hands are clean before feeding. Keep chopping boards thoroughly clean. Keep cooked and raw meats covered, away from each other and from other foods in the fridge. Thoroughly wash all bowls and spoons for feeding in hot soapy water. Don’t save and re-use foods that the baby has half eaten. It may result in a tummy upset. Cooked food should not be reheated more than once. Cook all food thoroughly and cool it to a lukewarm temperature before giving it to the baby. Wash and peel fruit and vegetables, such as apples and carrots. Cool food as quickly as possible (ideally within one or two hours) and place it in the fridge or freezer. Food placed in the fridge should be eaten within two days. Make sure that frozen food is thoroughly defrosted before reheating. The safest way to do this is in the fridge overnight or using the defrost setting on a microwave. Reheat food thoroughly so it is piping hot all the way through. Allow it to cool before offering it to the baby. To cool food quickly, place the food in an air tight container and hold it under a cold running tap, stirring the contents from time to time to allow cooling throughout.